I’m a mom with three toddlers (all four and under). I want to spend one-on-one time with all of them. I don’t know about you, but for me finding time to give undivided one on one attention to each of them is almost impossible. Life at home is just too crazy! I’m feeding, cleaning, changing diapers, doing potty breaks, refereeing my boys, meal planning and acting as climbing gym for all my kiddos to climb on. At home, each of my kids wants my attention. Every day. I just can’t give it without causing one of them to feel left out. But when we’re outdoor adventuring that changes. I find it easy to provide the one on one time that my kids are wanting and craving. 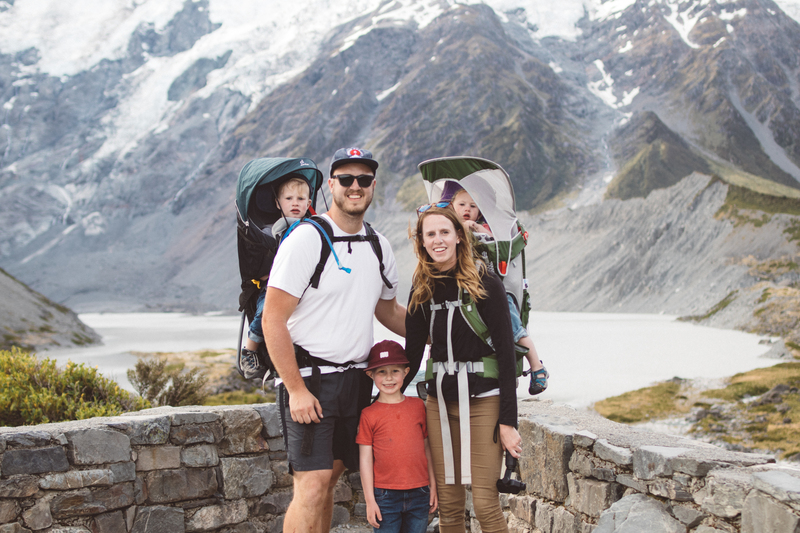 One of the reasons we love spending so much time in nature is because it allows us to disconnect, slow down and spend time as a family without any distractions. The kids are all preoccupied with their surroundings, exploring nature and taking in the beauty, that they don’t really need my attention. So it is much easier to get beside one of them and share the experience without any of the others getting jealous! When I am hiking or biking with my kids one of them is either way ahead or falling behind so I use that time to spend one on one time with one of them. I find time when we are throwing rocks or playing in a lake or river to bend down and talk and explore while the others are distracted. Our middle son usually hikes behind us so I know I can fall back a bit and spend that time encouraging, talking and playing games with just him. He also loves when I put him on my shoulders (he’s always down for being carried) because it speaks to him and fills his “love tank”. There are all sorts of moments on the trails that I am able to give all my attention to one kid and still keep my eyes on the others. When my husband is out on adventures with us we tag team with our kids. When paddle boarding we take turns taking one kid out at a time so that we can get that one on one time. They love sitting back and enjoying the ride. We like to play eye spy or talk about our favorite things from the week. We even take turn paddling or jumping off the board into the lake. We also do this when we’re hiking or biking together as family. Our kids are all at different stages so it is another opportunity to spend alone time with one of them while keeping our eyes on all of them. On our last hiking adventure our middle son wanted stop hiking to explore while our oldest son wanted to keep going. So instead of upsetting one of them by picking, my husband and I decided to take the opportunity to be intentional. He hiked up further with our youngest and oldest and I stayed behind to explore with our middle child. We each got to invest in our kids that day doing what they love to do. We always try our best to be intentional with our kids on all of our adventures together. I know that as they get older it will look differently, but at this stage of life they love it and at the end of each adventure they always proclaim that it was the best adventure ever. So we must be doing sometime right! I feel like nature offers so many opportunities to spend undivided one on one time with our kids, if we just take the time to do it. I would love to hear how you like to spend one on one time with your kids while outdoors. Please leave a comment below so we can share techniques! This post is featured on Tiny Big Adventure. Next PostWhat’s in our Hiking Daypack?